It’s Christmas, and your Small Mart buddies are ready to celebrate! Who cares if the shops are closed? The sale signs are twinkling, and snow is falling like powdered sugar. Oh so sweet! Strawberry Kiss is wrapping the presents. Apple and Kooky are decorating the tree. Lippy Lips can’t wait to sing her special solo carol. Together, can the Shopkins make it the best Christmas Eve of all time? 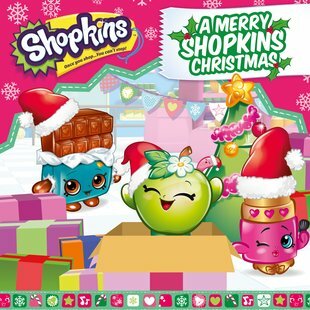 Celebrate Christmas with a unique Shopkins twist!